Welcome to the website of Office of Space Science Education at the Space Science & Engineering Center (SSEC) at UW-Madison. 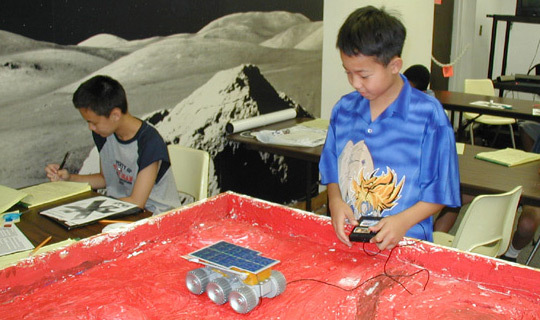 OSSE is dedicated to the belief that state and national STEM education goals will be achieved by sharing the excitement of new discoveries acquired through space exploration and earth remote sensing research. Our programs encompass the multidisciplinary areas of space science including; earth systems science, atmospheric science, solar system exploration, and astronomy. OSSE engages in community programs including, teacher professional development in earth and space science, K-12 student programs and science museum programs in partnership with state, national and international organizations including Europe and India. 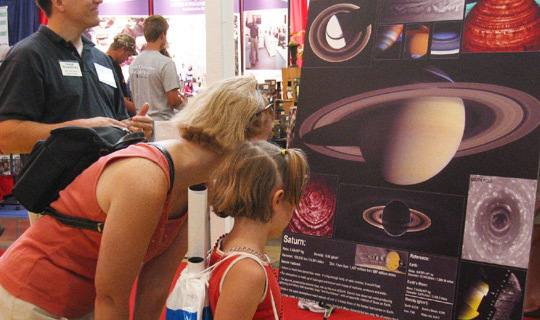 Programs and activities are supported by funds from NASA, NOAA, UW-Madison Baldwin Endowment, the Indo-US Science & Technology Forum (IUSSTF), and the European Space Agency (ESA). 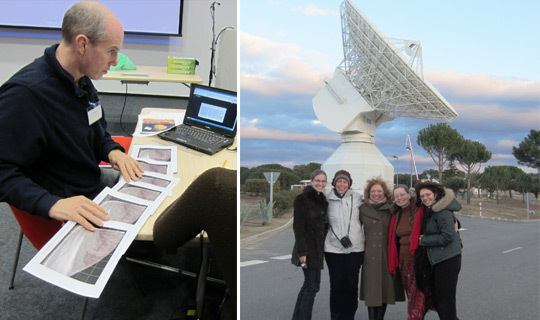 OSSE strongly emphasizes partnerships between scientists and teachers in local, regional and international schools to develop standards-based programs that achieve the mutual objective of improving the level of literacy for STEM education.Our most recent E/PO programs and collaborative efforts include the European Space Agency�s Venus Express Mission (in cooperation with NASA) and independent evaluation support for the University of Arizona�s OSIRIS-REx Asteroid Sample Return Mission. A series of education and public outreach opportunities using Venus data collected from the European Space Agency's Venus Express mission. Provide current and useful information and educational materials for Jupiter, Uranus, and Neptune. GLOBE is a worldwide network of students, teachers, and scientists working together to study and understand the earth's environment.Students make environmental observations at or near their schools and report their data through the Internet. Order a poster for your classroom! 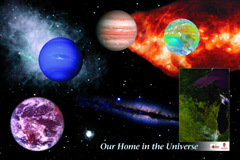 Copyright � 1998-2012 Office of Space Science Education (OSSE) at Space Science and Engineering Center, University of Wisconsin- Madison. All rights reserved.